A good skin care routine and sticking with it is my holy grail for a radiant and healthy skin so I decided to share mine with you. As I said in my previous post “The Happy Skin Tag”, I describe my skin care routine as quick, simple, affordable, effective and refreshing. Every one wants something like that, right? 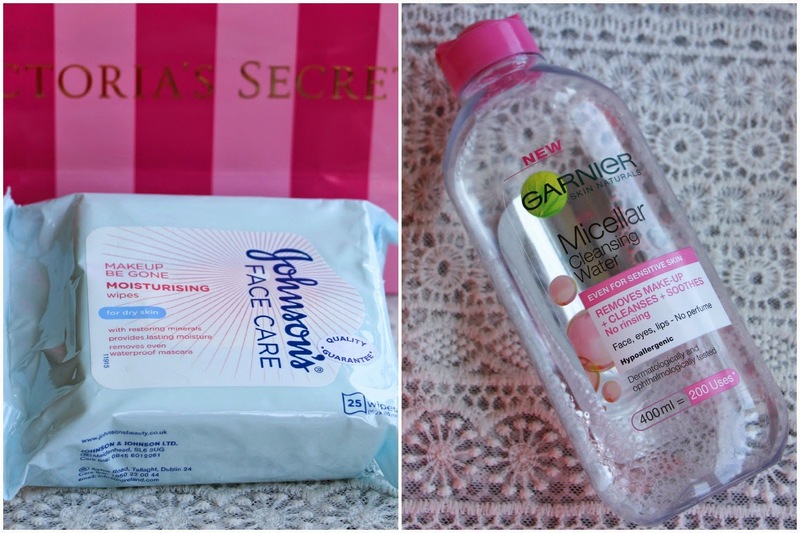 When I come back home from work the first thing I will do most of the time is to remove my make up and for that I use two things : Johnson’s Make Up Be Gone Nourishing Wipes for Dry Skin and the Garnier Micellar Cleansing Water. Basically, I first remove most of my make up with a make up wipe and after that I remove my eye make up the the Garnier Cleansing Water, followed by my face again with the same product. The make up wipes are amazing, have a lovely smell and they leave my skin very soft. The cleansing water has been my favourite for a few months now as it removes my make up so easily, without having to rub too much. I love it! I only exfoliate twice a week and I do it while I am having a shower. For that I use the Simple Kind to Skin Smoothing Facial Scrub. 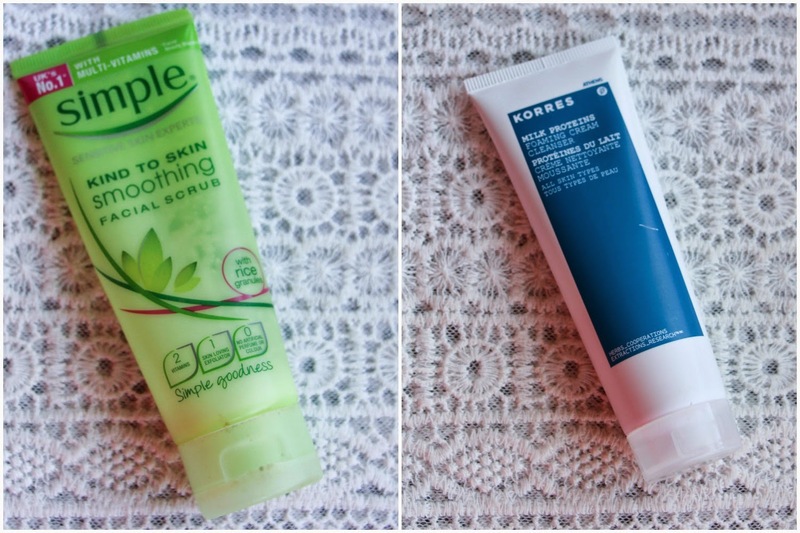 So I do that and after I wash my face with the Korres Milk Proteins Foaming Cleanser , that I already mentioned here on the blog and it leaves my skin so soft and with a lovely smell! To finish I rinse my face to remove all the soap and I feel soooo refreshed! Then I get out of the shower and it is time for the next step. The third step for my night time skincare routine is to moisturize my skin. 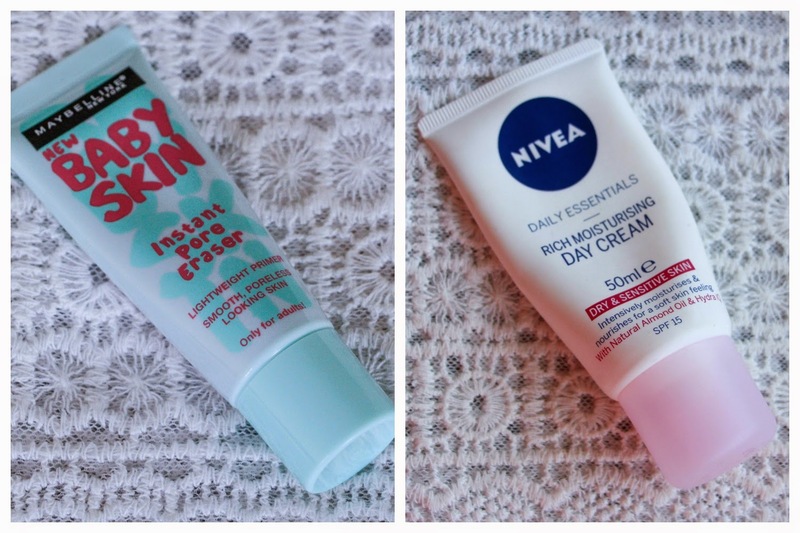 So I apply first of all the Maybelline Baby Skin Pore Eraser Clear and then my lovely Nivea Visage Day Cream for Dry/Sensitive Skin. I know that the Maybelline Baby Skin is a primer but I find that it works best for me if I apply it at night before my moisturizer. It leaves my skin with a silky finish and on the next day if I have to apply make up, the foundation blends in so easily and naturally. 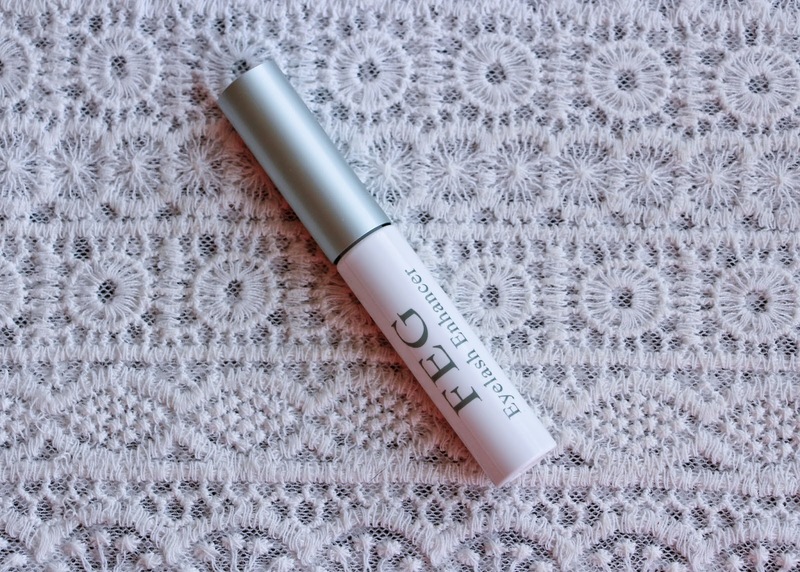 A new step that I added to my night time routine was to apply my FEG Eyelash Enhancer every day before going to bed. My eyelashes are not the longest or strongest so I am trying to improve that and I will let you know in a few weeks if it is showing any results. My previous blog post was about this product, here. Lets hope for the best! And this is it! As you can see it is quite simple, quick, affordable, effective and refreshing! The most consuming bit is to remove my make up. But I just get going with it because I know that when I finish all these steps I just feel so good and ready to go to sleep. There is nothing better than a clean, fresh skin! Share with me any tips that you find that help to keep your skin with a natural glow!